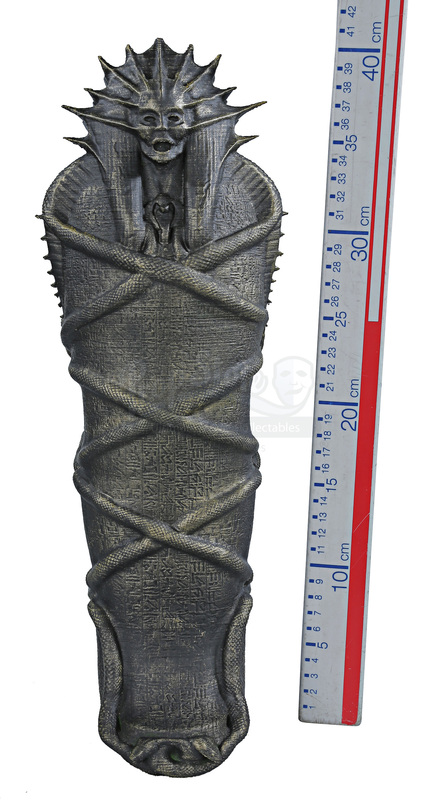 A bronzed sarcophagus crew gift from the Alex Kurtzman reboot The Mummy. 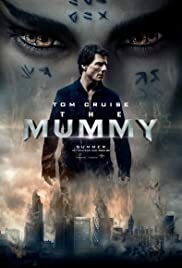 After being entombed under the desert for thousands of years, ancient princess Ahmanet (Sofia Boutella) is awakened as Nick Morton (Tom Cruise) and his partner Jenny Halsey (Annabelle Wallis) explore an ancient site in the Middle East. Morton and Halsey must now stop the monster from inflicting her fury on the streets of London. This sarcophagus and others like it were gifted to members of the crew working on the production. The design of this piece is the sarcophagus in which Princess Ahmanet is buried in for thousands of years. 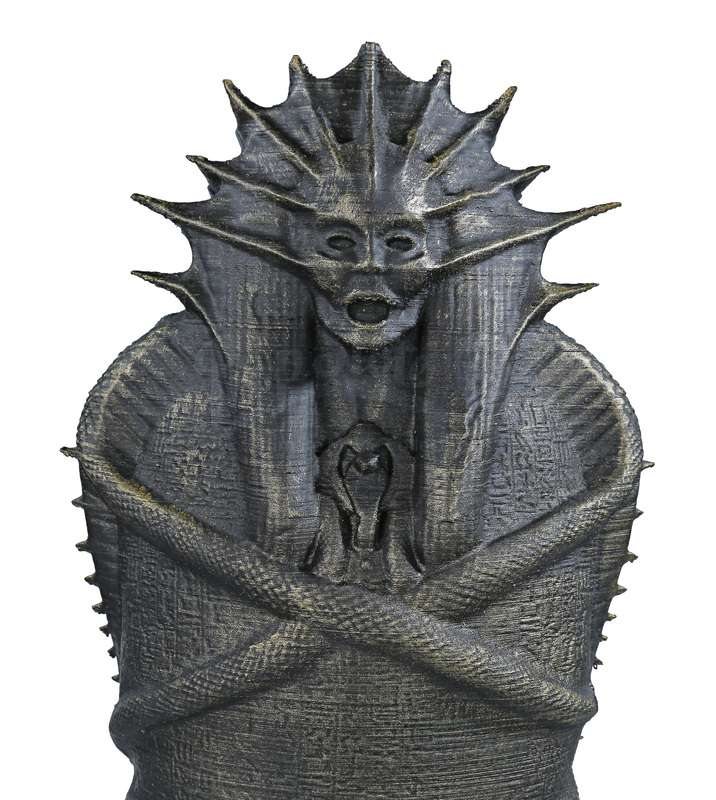 Made from plastic that has been 3D printed, this ‘receptacle’ model features a fanned-out design around an eerie looking face and snakes wrapping around the entire model, with a spine design featured on the back. The piece has been finished in black with metallic faux-bronze. This item features minor signs of wear and a hole for a mounting rod has been added at the bottom, revealing the 3D-printed lattice work within. However, the piece remains in very good condition.